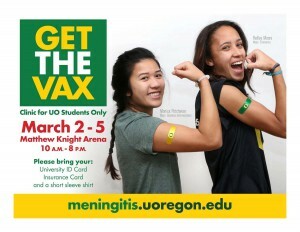 For the third time since mid-January, a University of Oregon student has been diagnosed with Neisseria meningococcemia. This is a bacterial illness that can lead to meningitis, a very serious condition. According to Lane County Public Health, the risk of transmission is considered to be quite low. In order for the illness to spread, a person would need to have close contact with the patient for four hours or more over the past seven days. The second and third cases are acquaintances who may have spent time in close proximity. 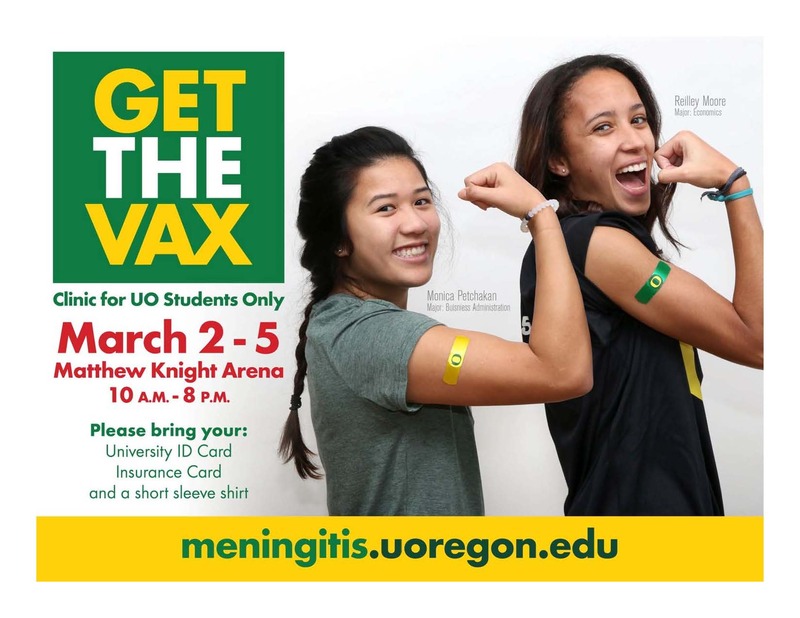 The University and Lane County Public Health have identified specific students, faculty and staff who may have had extended exposure to the patients. Those who have had close contact of at least 4 hours cumulatively within one week are being provided with a preventative medication to further reduce their risk of becoming ill, and being asked to seek medical attention for any unexplained fever, headache or neck pain. All three students with Neisseria meningococcemia have or are undergoing treatment. Due to patient confidentiality, we are unable to share the name of the student who is currently hospitalized with this illness. The University is working closely with Lane County Public Health to provide for the safety of the campus community. If you have not been contacted separately by Lane County Public Health or the University Health Center, you have not been identified as a person at risk.